The frozen yogurt at TUTTO is probably one of the best I’ve ever tasted (and I’ve tried quite a few!). It had the perfect blend of sweet and tangy, and with an extensive array of toppings and flavours, you’ll be spoilt for choice!! However, I find the prices quite excessive… most places usually charge around $7 (froyo + 3 toppings) but TUTTO’s prices are about $1 higher than that. This was soon forgotten however, as the staff were genuine and friendly, and the restaurant provides a nice casual environment. It also opens late, so TUTTO is the perfect place if you’re ever in the munchies for some late night sweets! 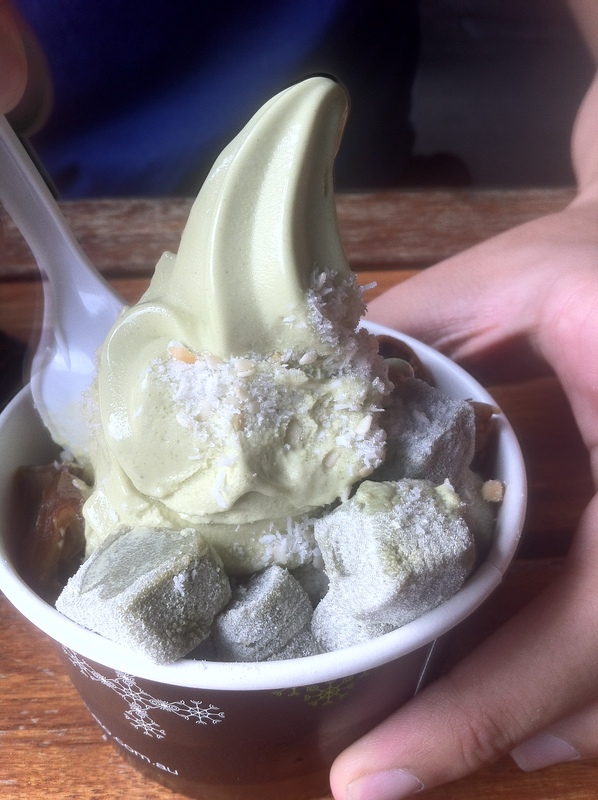 Both A.T and I grew a fondness for the green tea flavour at TUTTO, which is rare because A.T doesn’t usually go for green tea froyo. The peanut and coconut mix was really different and interesting, but in a good way because it complimented the yogurt. The frozen yogurt at TUTTO is delish! Must credit the workers, they know how to make a girl happy 🙂 Lovely balance of tanginess and creaminess so the yogurt had an incredibly smooth texture whilst also not falling short from that zing! 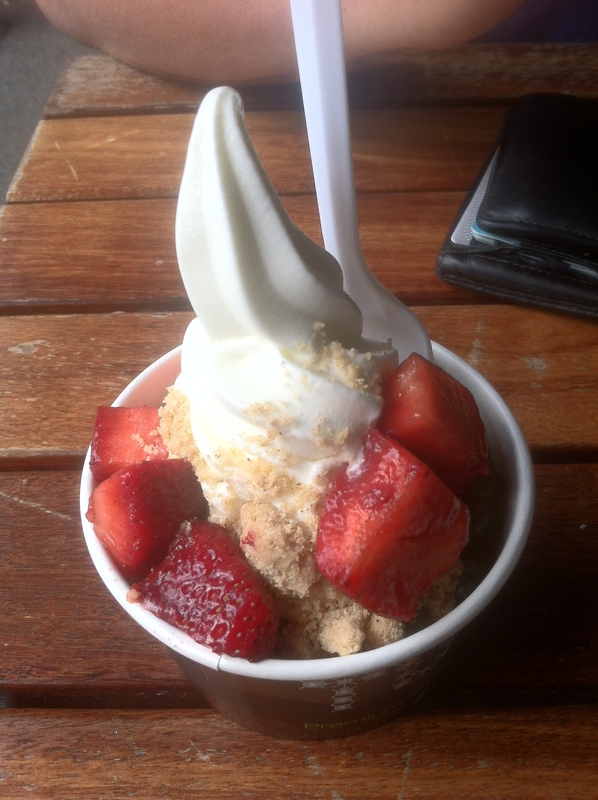 I really liked the crumble, it added a crunch and had a sweet cinnamon taste which blended well with the yogurt. I cannot say the same for the strawberries unfortunately… they weren’t fresh at all, which you can kind of see in the photo from their dark colour.